As of last weekend, I’m officially in the middle of my late 30s. And where better to spend a birthday that in one of the greatest cities on the planet. 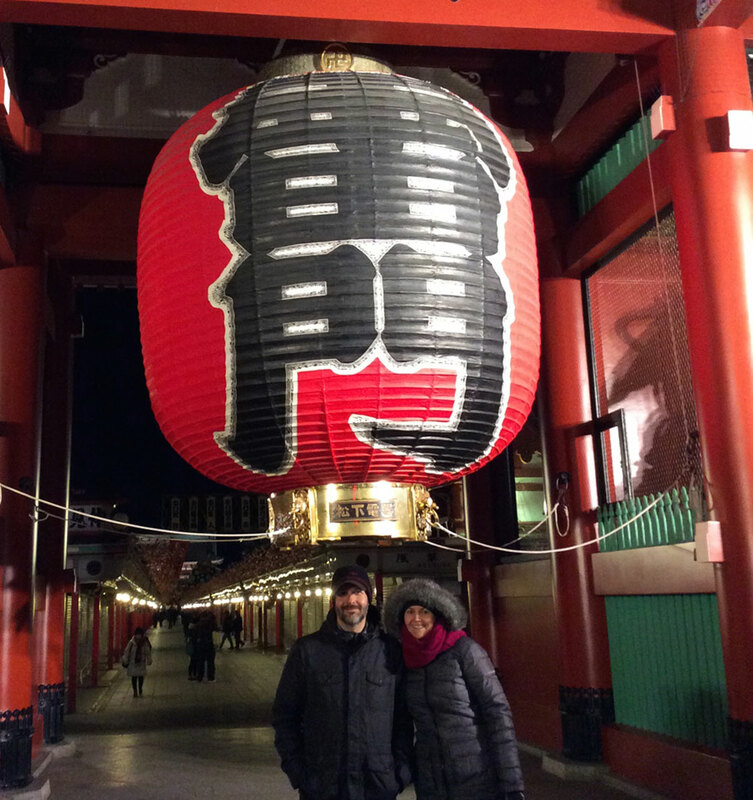 We spent the entire weekend in Tokyo with no real agenda, which ended up being an action-packed three days. Instead of a long rundown of events, please enjoy some photos from the weekend. 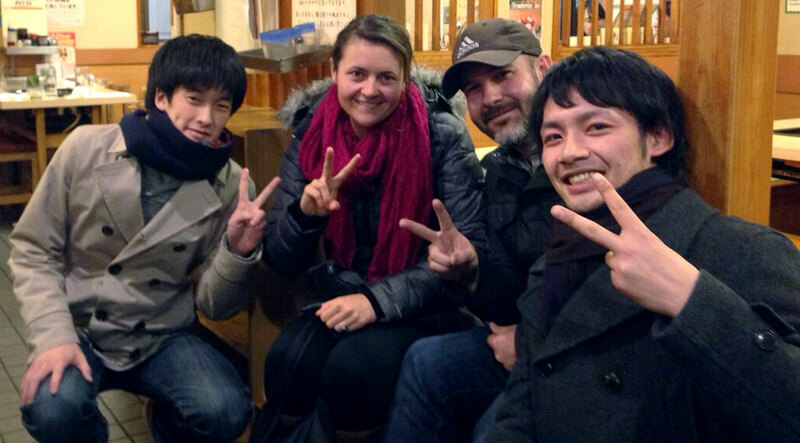 An unexpected dinner with our Airbnb hosts Yusuke and Hiroki at Rokumonsen, a monjayaki (or monja as it’s commonly called) place in Asakusa. 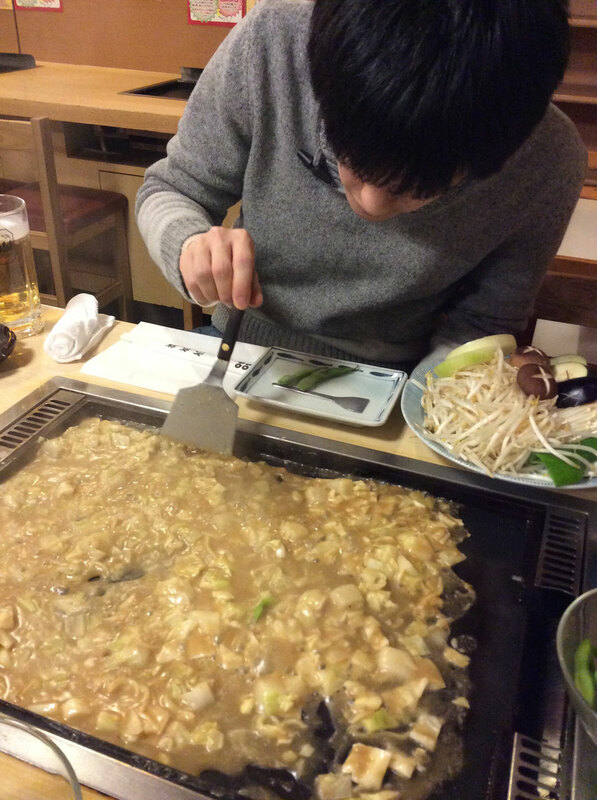 Yusuke (one of our Airbnb hosts) scrapes the monja off the griddle. The mixture of cabbage, cheese, mochi and sauce cooks to the griddle and is basically a gooey top with a crispy bottom. Akihabara Electric Town. 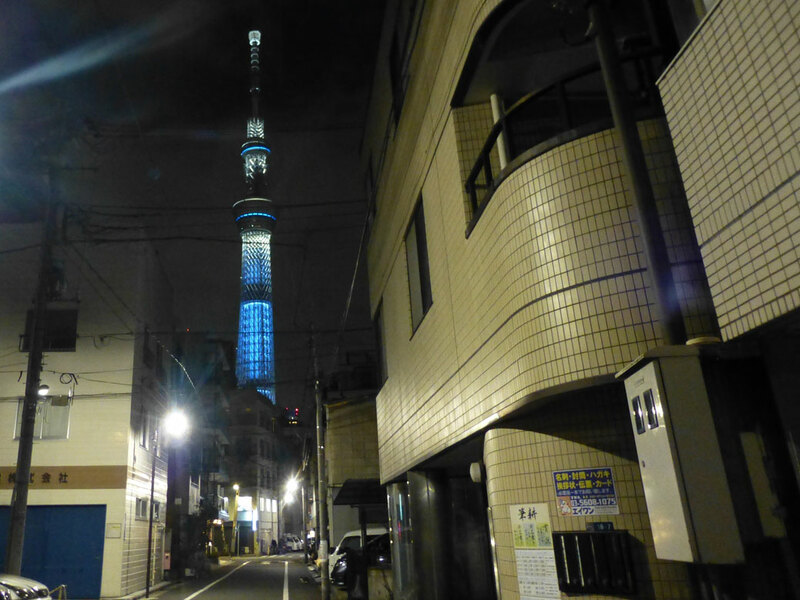 These blocks are filled with video arcades, electronic shops and maid cafes. A little something for everyone. My birthday lunch! 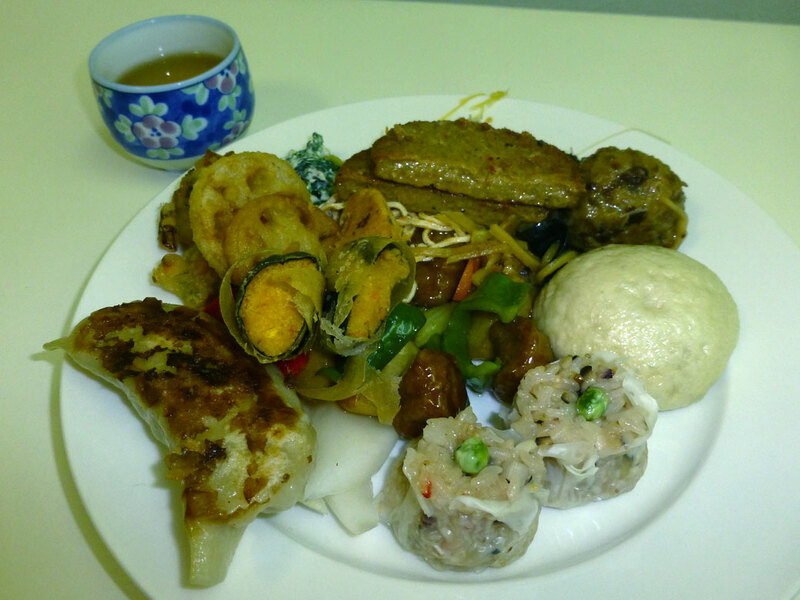 Vegan buffet at Loving Hut in Chiyoda. This was plate one of three or four… the food coma set in at some point. 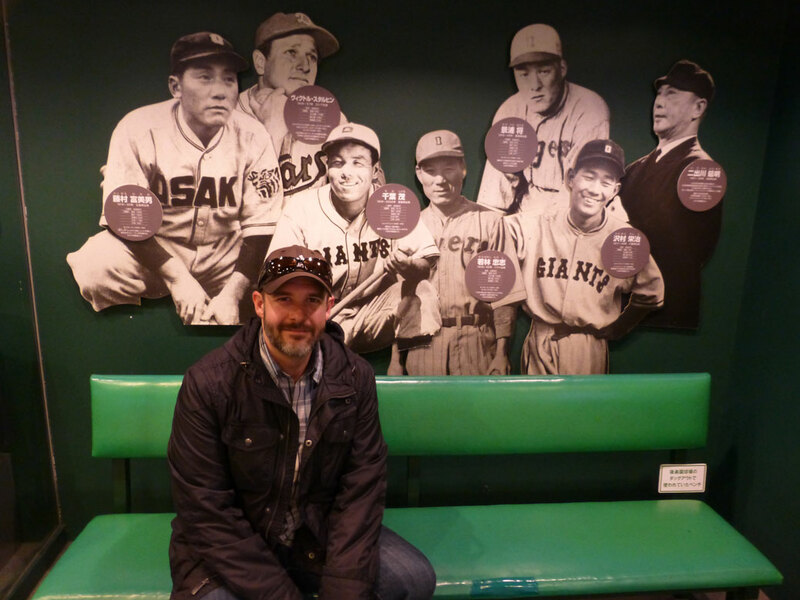 The Japanese Baseball Hall of Fame Museum at Tokyo Dome. This was one of my favorite things we’ve done recently and will warrant its own post in the near future. 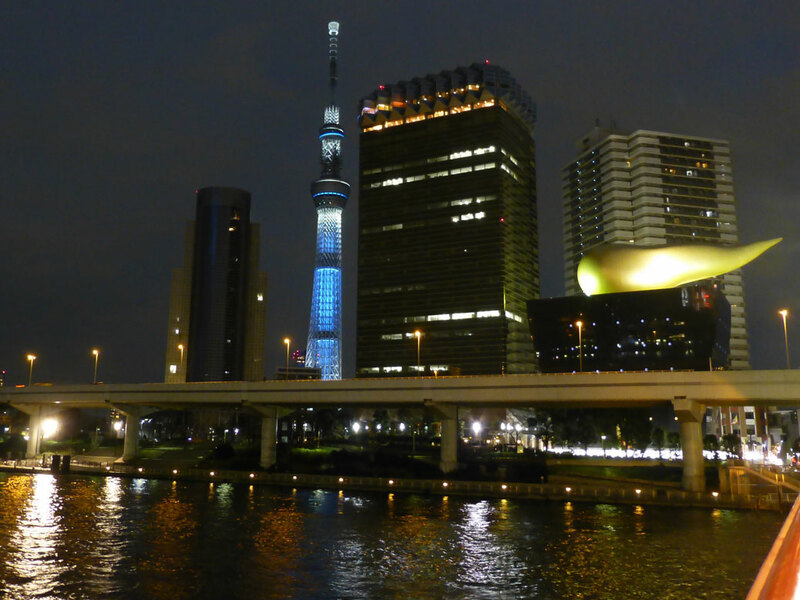 Tokyo Skytree and the Asahi Beer Hall flame sculpture from the Asakusa side of the Sumida River. The locals call the Asahi sculpture “kin no unko” (金のうんこ) or “the golden turd.” Our host didn’t know the English translation and I’ll never un-see his pantomime that clearly translated said meaning. The view from the front of our home away from home. Not too shabby. 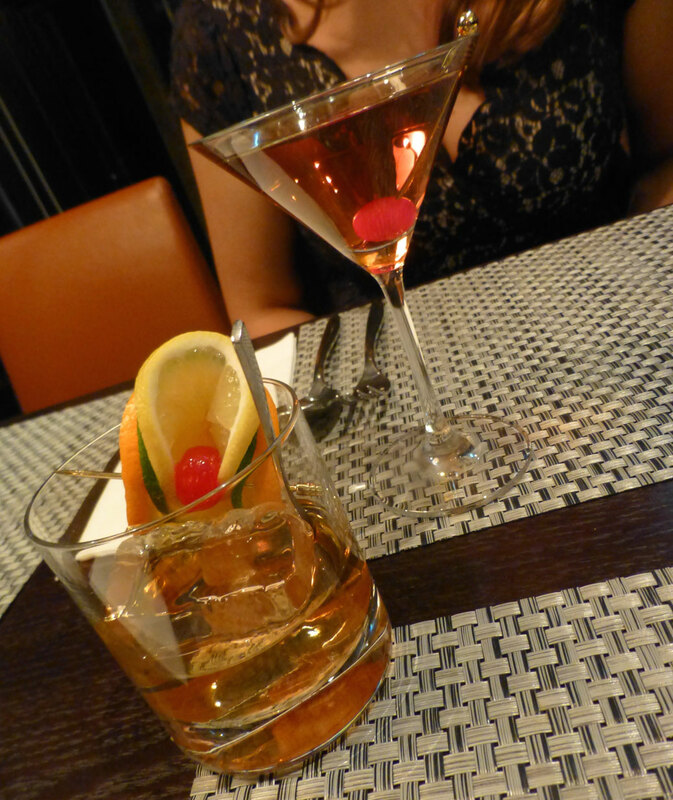 Birthday drinks on the 13th floor of a restaurant overlooking Asakusa. 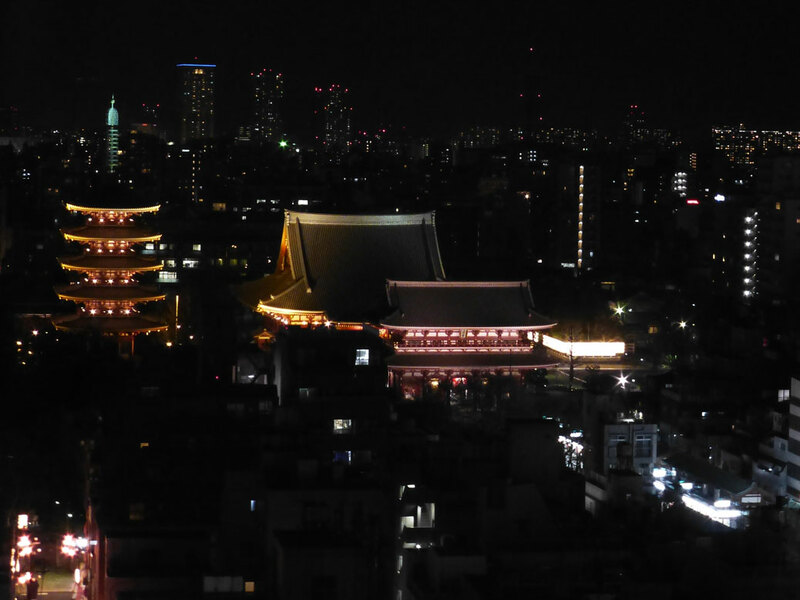 The main hall and pagoda of Senso-ji Temple as seen from a nearby restaurant. This playground near Tokyo Skytree had an awesome metal-roller propelled slide. We only saw adults use it in the short time we were there. Video below. 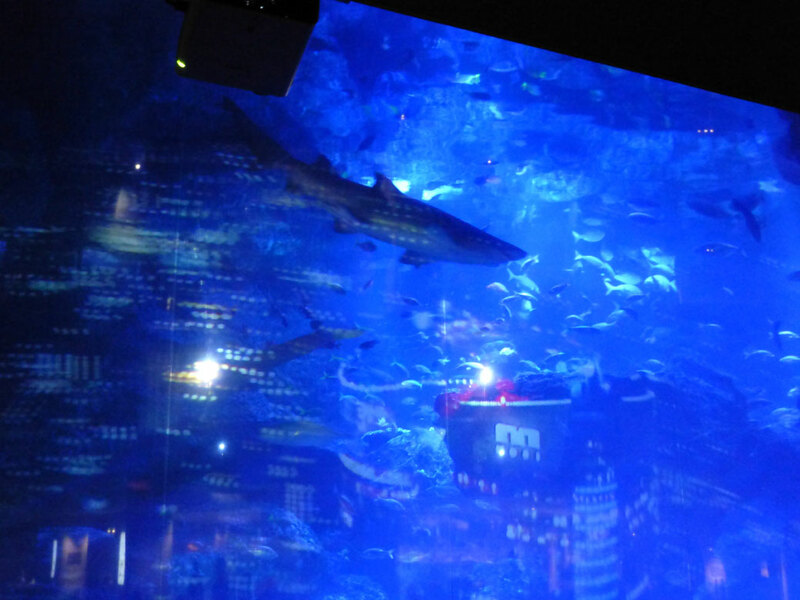 A shark swimming in the tank at Sumida Aquarium in Tokyo Skytown. 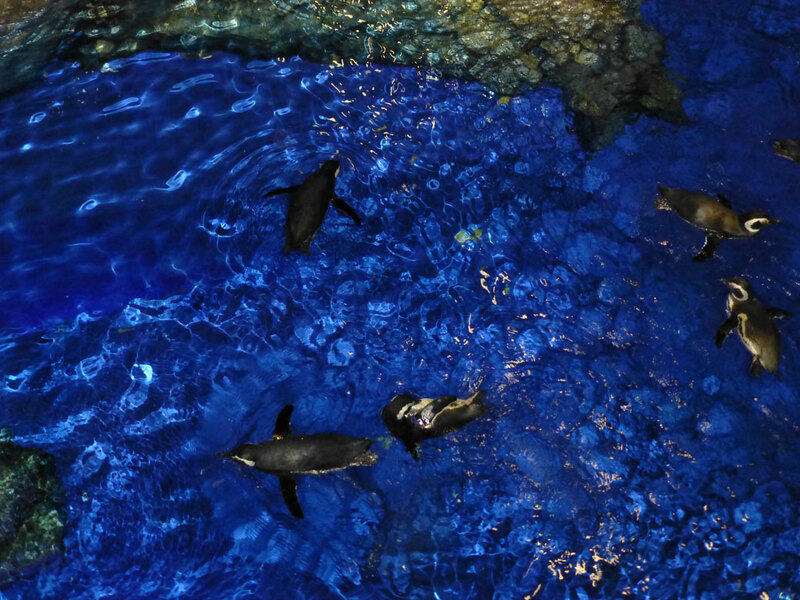 The window of the tank doubled as a projection screen for a flyover movie of the city. 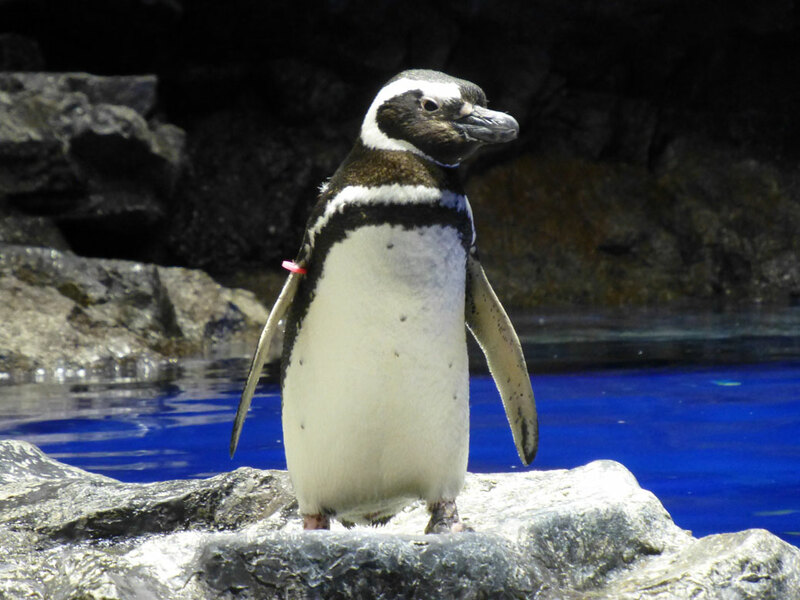 Sumida Aquarium had a great penguin exhibit. 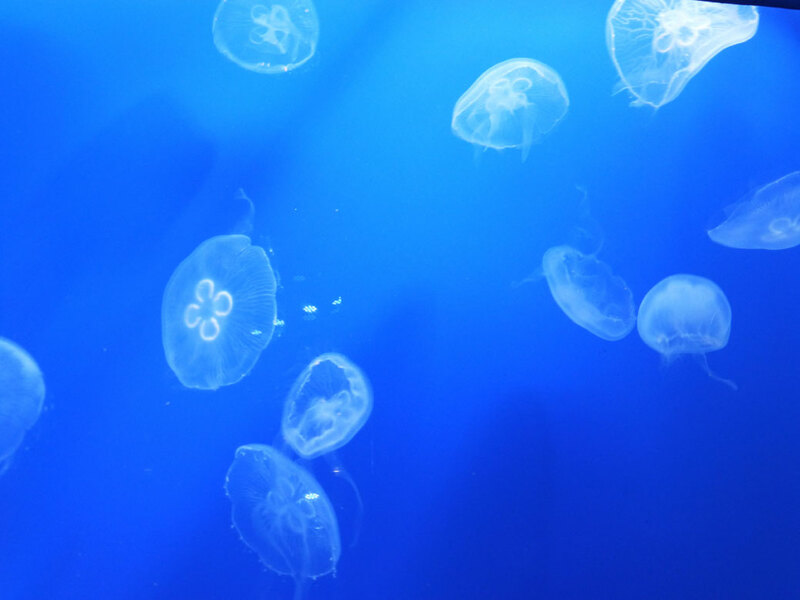 The first exhibits at Sumida Aquarium are jellyfish illuminated by changing colors. It was truly impressive. 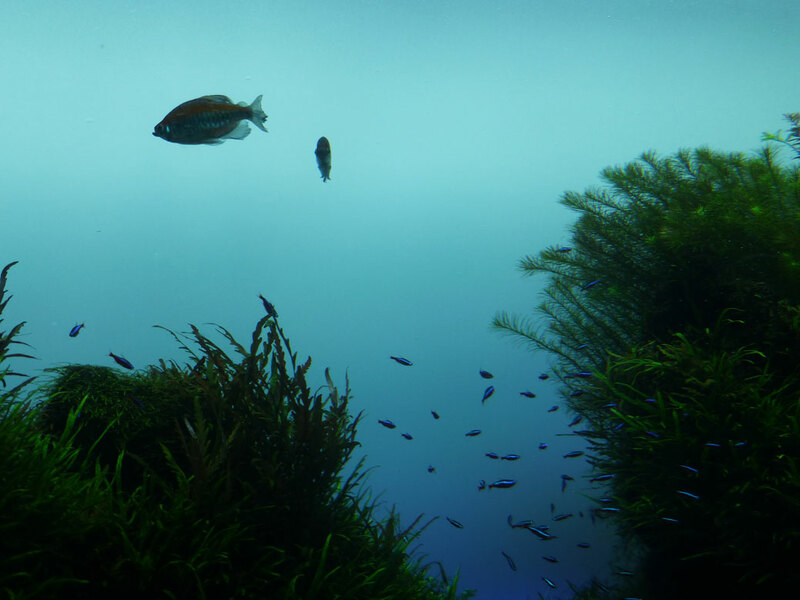 Sumida Aquarium did its best to recreate native environments for the different species of sea life in its keep. 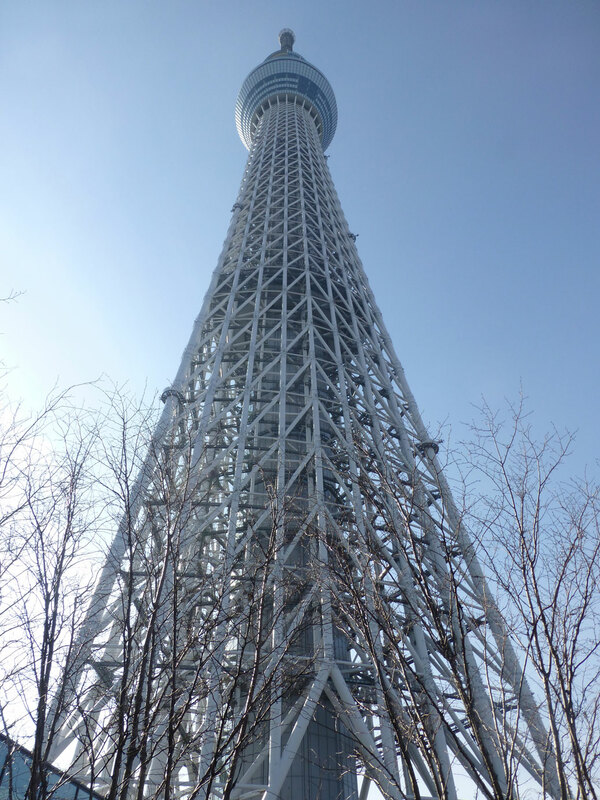 Looking up from the near the base of Tokyo Skytree, which at 634 meters is the tallest structure in Japan, the tallest tower in the world and the second-tallest structure in the world behind Dubai’s Burj Khalifa Tower. Thanks! It was a random bunch of fun!